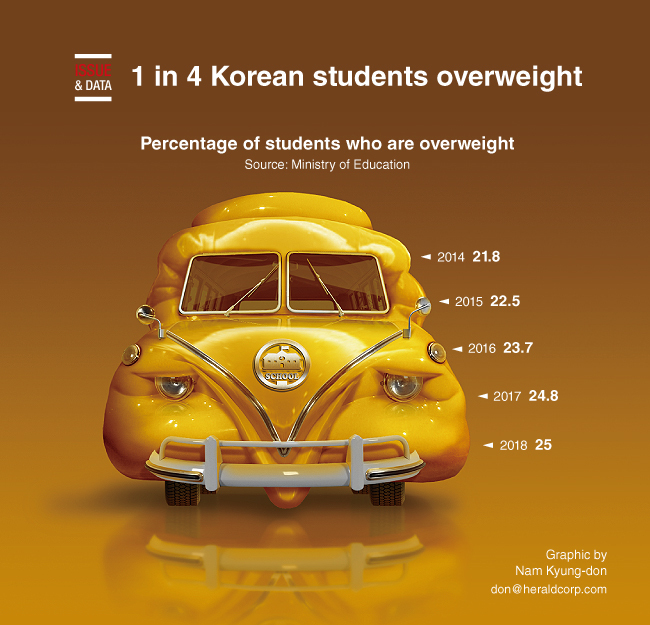 A quarter of young South Korean students were obese or overweght, the Ministry of Education said. According to data compiled from a survey of 108,000 elementary, middle and high school students conducted nationwide last year, 10.6 percent of them were overweight and the remaining 14.4 percent were obese. Those with a body mass index of over 23 were counted as overweight and those with BMIs of 25 or more were considered obese. The percentage of overweight and obese students has continued to rise from 21.8 percent in 2014.